Borax is the most common ingredient in house ant control products, and get this: it's absolutely 100% natural. The best way (in my opinion) to use Borax is to mix 1 cup of warm water with 1/2 cup of sugar, and 2 tablespoons of Borax. 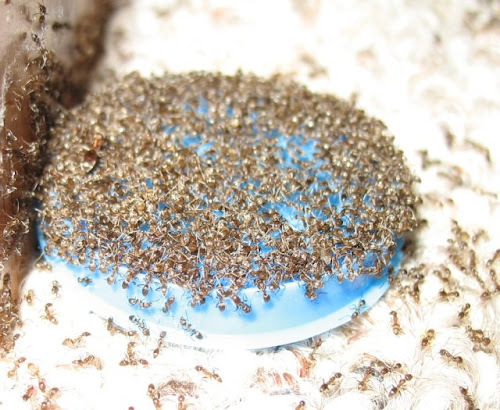 Then soak the Borax mixture up with cotton balls or put it in a container and place near any trails the ants have established in your home.